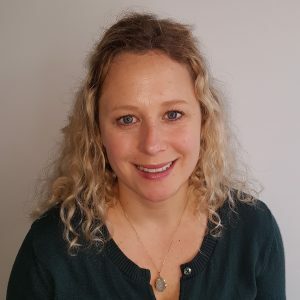 Elisabeth is a Chartered Clinical Psychologist with over ten years of experience working in the NHS, voluntary sector and more recently in private practice. Elisabeth has a wealth of experience of working with children, adolescents and young adults in generic and specialist CAMHS settings. She works with the full range of clinical presentations, including anxiety, depression, OCD, trauma and post-traumatic stress, bereavement and loss, attachment and relationship difficulties, parenting, anger and self-esteem issues as well as gender identity difficulties. In addition, Elisabeth gained experience of working in a perinatal parent-infant mental health service where she worked with women experiencing depression, anxiety and distress during the ante- and postnatal period and the effects of past unresolved trauma or traumatic birth experiences. She also worked with young mothers and expectant mothers with adjusting to parenthood in the context of traumatic life experiences including domestic violence. Additionally, Elisabeth has a special interest in and experience of providing therapy to strengthen the parent-infant interaction and attachment. Elisabeth has a warm, respectful and skilled approach to working with individuals, couples and families and endeavours to recognize and build on their strengths, resilience and resources. Her interventions are guided by the assessment process, evidence-based practice as well as clients’ needs, wishes and their goals for psychological input. Elisabeth believes that developing a shared formulation paves the way for working together effectively and collaboratively therefore creating positive change, whether this might be through short-term or long-term interventions. Elisabeth works integratively drawing on a number of therapeutic models to support her work with individuals, couples, as well as children, young people and families. These include systemic, CBT, cognitive analytic, mentalisation-based, solution-focused and narrative and attachment models. Elisabeth is chartered by the British Psychological Society (BPS) and also a member of the BPS’s Division of Clinical Psychology, Faculty for Children, Young People and their Families and Faculty for Perinatal Psychology. Elisabeth is registered with the Health and Care Professions Council (HCPC).